It seems ludicrous now to imagine that anyone in his or her right mind would pass up an opportunity to work with unarguably one of the greatest composers of all time, but such was the case. Brilliance, talent, art, intelligence, genius do not cease to exist because times are tough. In fact, some might argue that challenging times require nothing less than these attributes from every individual. 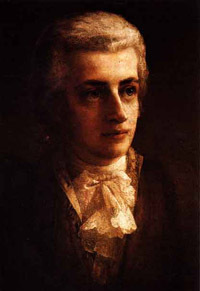 We at Benchmark Software are not quite on par with Mozart. However, we are good—very good—at what we do, and that’s helping our clients become more efficient and profitable, a highly creative activity requiring not only technical skill, but also business savvy, intelligence, and imagination. If you are committed to the growth and prosperity of your company; still believe that opportunities exist and are actively looking for them; and recognize that in spite of external conditions which you cannot control, the future prosperity of your company ultimately rests with those things you can control….there’s a very good chance we can help you turn opportunity into reality. It’s what we’ve been doing for over 20 years: leveraging and making efficient use of technology to establish new realities. Our art is creating prosperity. Our instruments and tools are technology and business intelligence. Imagine what we could create together!